No matter how difficult a given project might be and what kind of restrictions we might face, we are always willing to embark on a scaffolding project. The Smithsonian Institute presented a few different challenges, but our team at Scaffold Resource has been proud to overcome them. Read ahead for more on one of our scaffold projects: the Smithsonian Institute. A challenge can help you determine just how skilled you are in your field, and the Smithsonian Institute offered plenty for our team. However, we were able to break through and make the project a reality thanks to our skills and experience. We were responsible for providing the entire crew with security clearance, protecting the inside of the building while making restorations, and engineering load transfers over trenches. Our team stands up to any challenge we are presented with, and the Smithsonian Institute is a great example. At Scaffold Resource, we contribute to all kinds of projects. 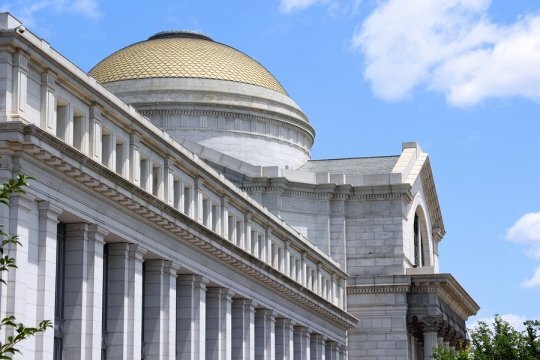 If our work on the Smithsonian Institute impresses you, feel free to call us at (301) 924-7223. We also handle shoring and dance floor scaffolds near Washington, D.C. Stop in and see us or visit our website for more on how we can help you. You can’t paint the exterior of a tall building or wash a high window without a work platform, which is where scaffolding rentals come in. Working on a high scaffold or work platform can be dangerous, so you should take certain precautions and keep your safety in mind. Watch this video clip on working safely at elevated positions. Thanks to detailed safety regulations, no one should have to worry about dealing with an accident related to scaffolding. Since falling from an elevated position can be deadly, you should be equipped with the proper safety gear. Your scaffold should also have a railing, and you should be careful with where you place your tools. Scaffold Resource is your go-to company for scaffolding rentals serving Washington, D.C. Our specialties also include shoring and other types of work platforms. Please do not hesitate to visit our website or call us at (301) 924-7223. As dangerous as working on a scaffold might seem, working in a trench with shoring can be just as dangerous. Some situations are much more hazardous than others, however, and knowing how to spot the signs of danger can constitute the difference between life and death. You can fall into a trench or fall while inside a trench, just like you can fall off of a scaffold or similar work platform; however, shoring presents the unique threat of a cave-in. 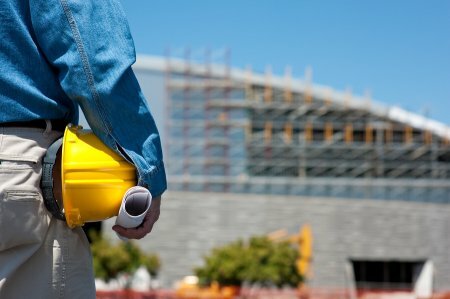 If you’re using shoring for your next construction project, make sure it’s not dangerous. Another issue with shoring systems is safety gear. It’s up to the individual to make sure he or she is using the right safety gear during a shoring project, but it’s also helpful to cultivate a work environment where safety is clearly important. You should have a helmet on at all times, and you should recognize the type of trench you are working in; depending on the type of soil, the excavation cut, and the weather, you might need different kinds of protective systems. You always need a competent person to inspect your shoring before use. This person should understand the types of hazards to recognize, and he or she is responsible for determining when a shoring trench is too dangerous. Do you have any questions about shoring near Washington, D.C.? Scaffold Resource is happy to answer them. In addition to shoring, we offer tube and clamp scaffolding and sidewalk canopies. Visit our website or call us at (301) 924-7223 for more details. 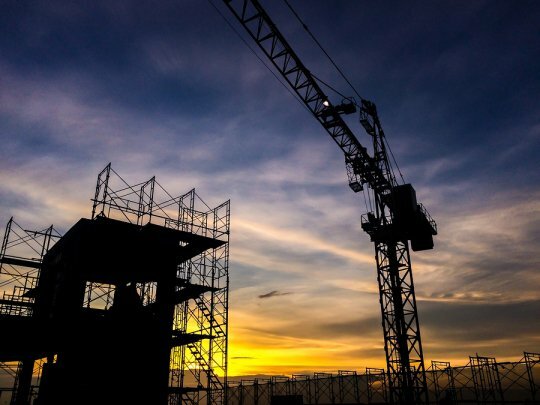 Certain projects simply cannot be completed without the help of a scaffold resource, but should you rent yours or buy it? Each has its own advantages, but one may be more beneficial than the other. Please keep reading to find out if you should rent or buy scaffolding for your next task . Whether you’re renting or buying your scaffold, you can take your pick. The big difference, however, is that you are stuck with what you buy. If you rent a certain type of scaffolding and decide it’s not the best for your needs, you can always return it and rent a different kind. When you buy your scaffolding, you’ll have to hold onto it until you can sell it to someone else or afford to buy another type. In this sense, renting your scaffolding is a more convenient alternative. In addition to being able to choose the highest quality scaffolding at any given time with limited commitments, you can also save money by renting your scaffold instead of buying it. A scaffolding rental will typically be significantly cheaper than buying your own. This means that you will be left with money that you can spend elsewhere, like on safety equipment to keep your crew protected when working on your scaffold. If money is tight but you need a work platform for your company’s project, a scaffolding rental may be the way to go. Scaffolding needs maintenance in order to stay safe and in shape, but you might not have the time to give it the maintenance it requires. A scaffolding rental allows you to use a scaffold without having to worry about how to maintain it. If maintenance isn’t feasible, go for a scaffolding rental. If you’re still wondering if you should rent or buy your scaffolding serving Washington, D.C., call Scaffold Resource at (301) 924-7223. We are happy to help you with your scaffolding rental needs, and we also work with other work platforms. Visit our website to learn more about our shoring and scaffolding products today.